Teamwork is definitely the best work! Sometimes getting a team to come together regularly can be difficult with everyone’s conflicting schedules. 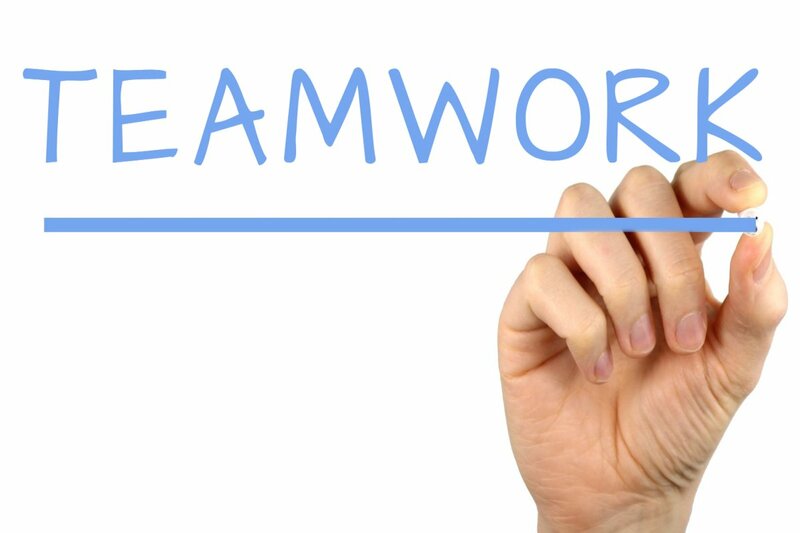 Here are some tips on creating teamwork synergy in the workplace. Make sure there is a regular scheduled meeting time for the team to meet, and stick to this time. Very often, many teams set up the time but after a month or two, people start missing meetings or in general folks become lazy. A team can better stick to a set time if there is something to look forward to in the meeting. Perhaps host a giveaway or have some other incentive for being on time to the meeting and attending? Think outside the box a bit here. Sometimes folks’ have to dial in if they are working from home. That’s OK, but what I think is not OK to people to conference in when they can just be in attendance. I’ve found that face to face conversations are the most productive conversations. This should be established before teamwork is started. Set goals and assign specific tasks to individuals. Outside of one’s own tasks, make sure that everyone works on other aspect of a project or goal. This way, everyone is involved and synergy is flowing. Brainstorm together and help one another. Listening is a big part of this process. Keeping the morale up is very important for the team. Host a outside of the company event for the team off sight. Maybe a Escape Room, or a sporting event , ect. Our sales team has a big quarterly meeting but we meet once a week to keep up with the latest trends. That way we have a very productive quarterly agenda and have a lot to focus on. Sharing in the benefits of a team, financially and socially, has a big impact on everyone’s cooperation and enjoyment. No one enjoys working with no reward on the horizon. Mention free food and watch everyone in the office show up, even that those couple of people that never attend. Mention free food and watch everyone in the office show up, even those couple of people that never attend. Team work makes the dream work .